Home / Home Products & Appliances / How Often Should You Recharge Your Fire Extinguishers? After a fire inspection, one of the things that you will be told by an expert is if there is a need to recharge fire extinguisher. If you have a regular inspection schedule for your fire extinguishers, and you should, you might find that there really is no pattern to when the fire extinguishers are recharged. If you have many fire extinguishers inside your property, then you undoubtedly have different types of extinguishers as well. It is important that you know how often to recharge these fire extinguishers so you can always get ahead even if they haven’t been inspected recently. For businesses that conduct their own fire extinguisher maintenance, it will be easy to identify when the fire extinguisher needs to be recharged. During the maintenance, the fire extinguisher will be inspected to find out about their status. When there is a need to recharge the fire extinguisher, there may be a need for temporary replacement. Although recharging the fire extinguishers when they run a little lower in terms of their charge. It is still better to start with the really lighter extinguishers. This is due to the risk of running into an emergency where there may be a need for a fire extinguisher. During the refill process, the people inside your property won’t have any access to one. If you have a schedule for your business, you should schedule the recharge for your fire extinguishers around it. During days that your business is closed are the best days to conduct a refill of your fire extinguishers. This eliminates the risk stated above. If your fire extinguisher is inside an environment that can be considered harsh to its contents, you should schedule a refill much more regularly than you typically would. Not all fire extinguishers use the same chemicals. The type of your fire extinguisher will be factored when making this decision. Inside a business, there may be disgruntled employees or customers that could end up vandalizing or tampering with your fire extinguisher. If you know that there is a risk for such, you should always maintain your fire extinguisher and ensure a regular schedule for a recharge fire extinguisher. Regardless of what has happened inside a year, the agent inside the fire extinguisher may deplete. This is simply the case for most of the agents used and there’s really no way around it no matter how well you maintain your fire extinguisher. That’s why it is important to inspect and refill your fire extinguishers at least every year. If fire codes have been updated recently, you can always expect a wave of fire inspections conducted by the regulatory board. Get ahead and get your fire extinguishers checked whether they are in need of a recharge fire extinguisher. This will not only earn you better remarks upon inspection, but you’ll also have fewer things to worry about. If you are looking for recharge fire extinguisher services, contact Westminster Fire today. 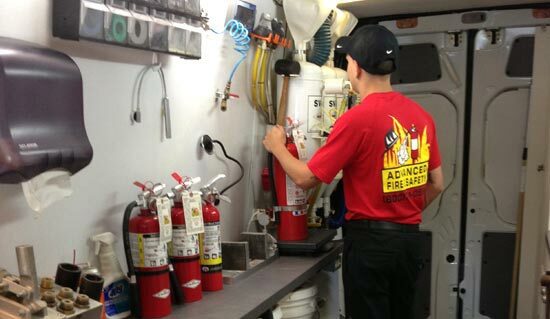 We can help make sure your fire protection equipment are in optimal condition.